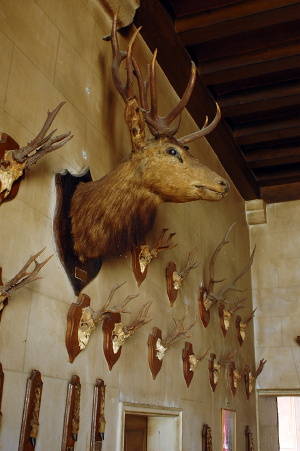 Surrounded by forests rich with game, the Château de Gizeux has always been a hunters’ residence. The hunting room, with its large fireplace and impressive wooden table is a favourite place to welcome hunters. The stag head is particularly interesting, can you guess why? Our guest rooms in the Château are open!